Ahem.....tap tap...Is this thing on? ....tie a string around your finger! 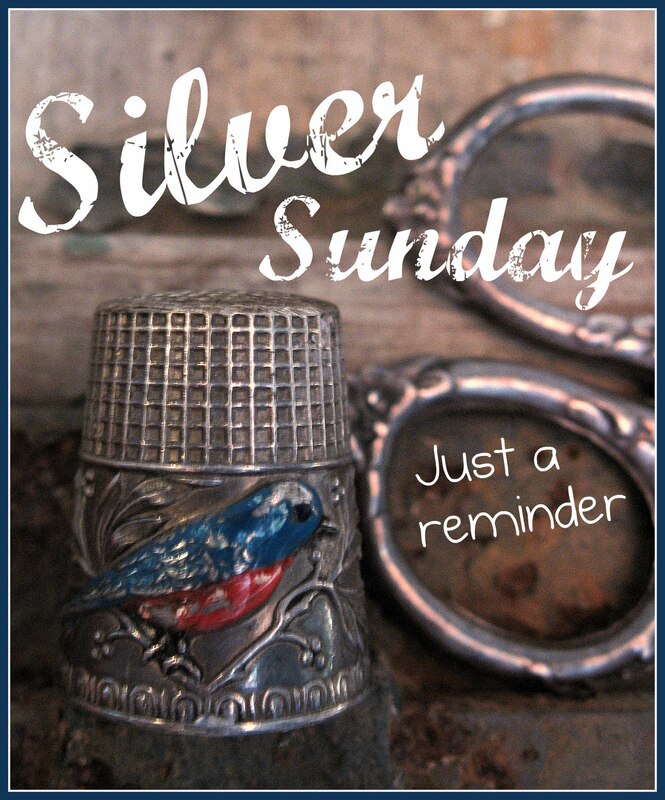 Next Sunday is Silver Sunday...hope you all can make it! 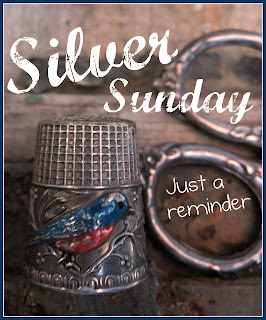 On the second Sunday of every month show off your glittered, glitzed, glammed, tarnished, shiny, treasured or freshly found silver treasures....Have a wonderful weekend! congrats- I love Fiona and twig- I love your silver Sunday- only participated once, need to try again! Im already there!! Thanks Beth & Anne ~ Have a great 4th!!!! Hi Beth! So glad I started following your blog. I excited for you about your new gig, will be checking that blog out. And I made a note about next Sunday. This will be my first time participating and I'm super excited! Congrats on the "BIG" honor! 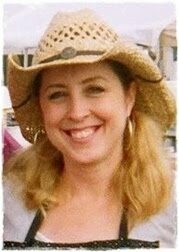 I am pretty new at this and am thrilled to have found your blog! I think we all need to network and show each other off!